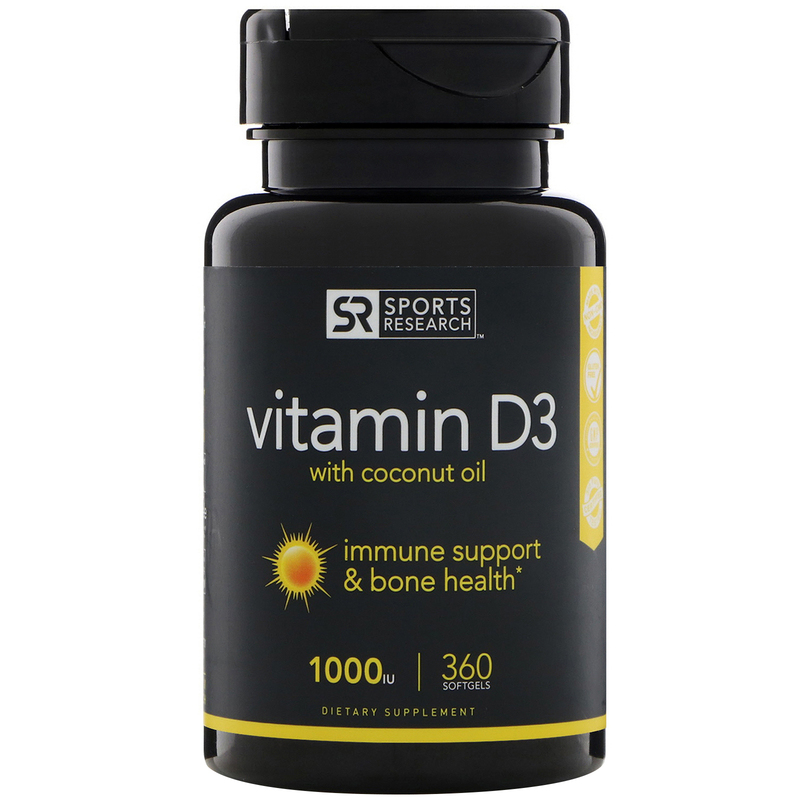 Sports Research Vitamin D3 with coconut oil delivers the same biologically active form of Vitamin D produced in the body as a result of direct sunlight without the risk of unprotected UVB exposure. 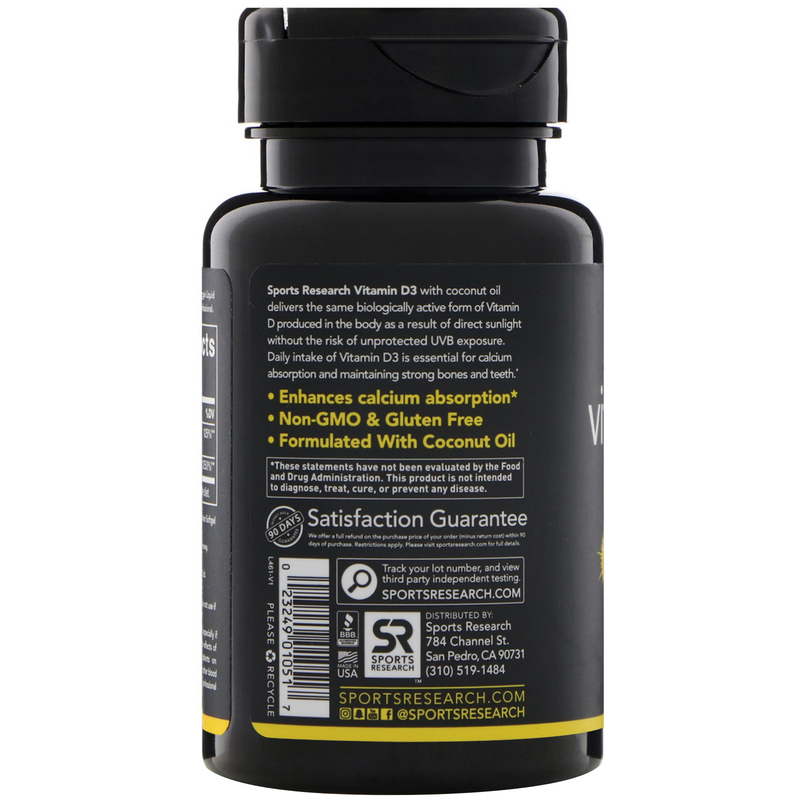 Daily intake of Vitamin D3 is essential for calcium absorption and maintaining strong bones and teeth. 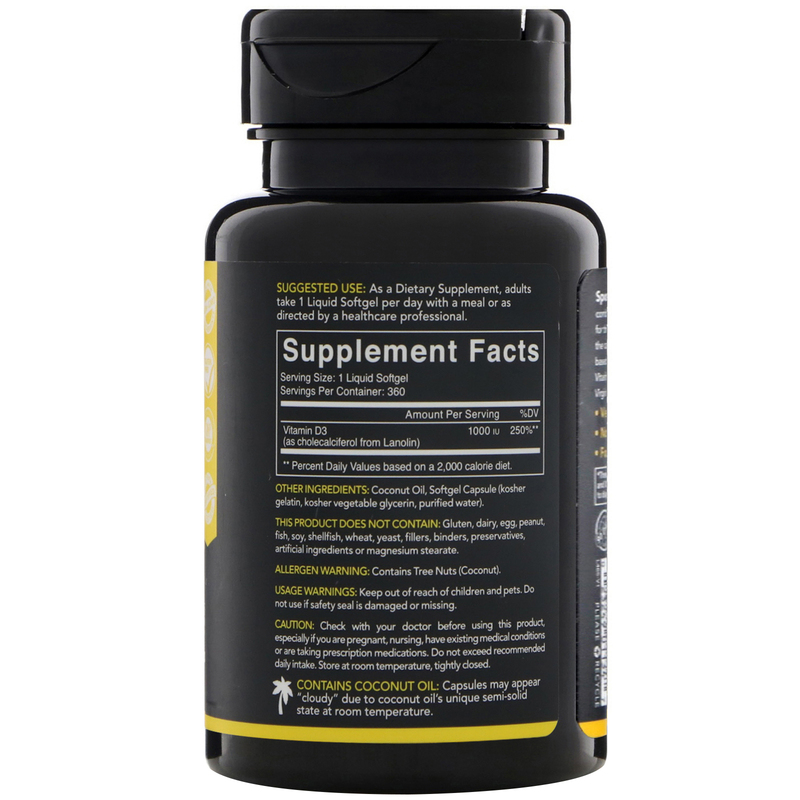 As a dietary supplement, adults take 1 liquid softgel per day with a meal or as directed by a healthcare professional. Coconut oil, softgel capsules (kosher gelatin, kosher vegetable glycerin, purified water). Contains Coconut Oil: Capsule may appear "cloudy" due to coconut oil's unique semi-solid state at room temperature.